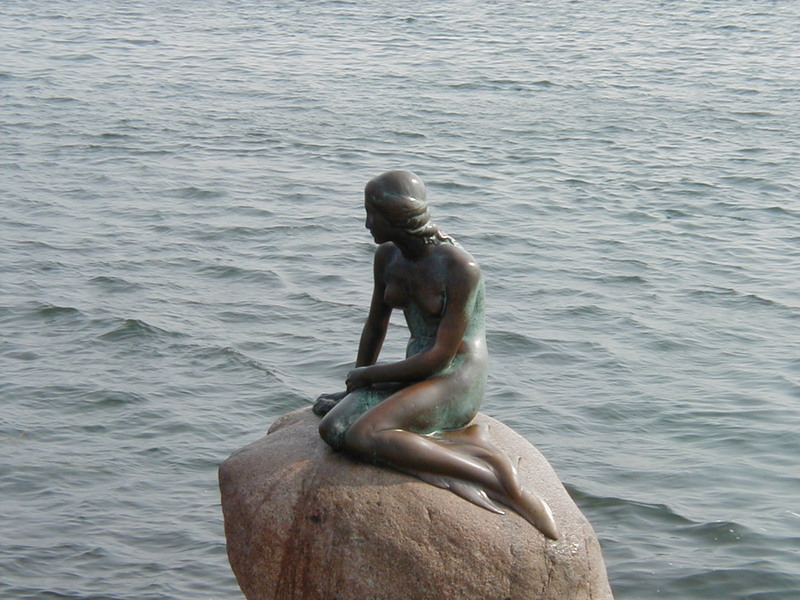 A beautiful statue resides in Copenhagen, Denmark depicting The Little Mermaid. This statue was erected in 1913 to honor Denmark’s crowning author Hans Christian Andersen who wrote The Little Mermaid. She sits on a rock overlooking a lovely stretch of the sea and makes for a pleasant stop on your stroll. I just read that there are multiple copies of the mermaid statue throughout the world even one in Solvang, California. Sadly, I am also surprised to read that she has been defaced and decapitated numerous times yet always restored to her former glory. She even once wore a Burqa! Who would have thought she would have had such an interesting life?! I am heading to Copenhagen next week and looking forward to seeing the statue, amongst other things. A few articles I have read said that it (the statue) is a little disappointing, but I guess that depends on what you are expecting. I thought it was neat. It sits on a stretch of water that is really beautiful. It’s smaller than I expected and there isn’t much fanfare to it. But I thought it was neat. She is lovely. You will love Denmark. Will you just be visiting the city or the countryside as well? We’ll be based in Copenhagen but are planning to visit Roskilde and Helsingor as well. It’ll be a pretty packed trip, five days and four nights.